After several months in PEH-reee, Kristi and I had walked past this stone postcard model numerous times, pausing briefly to take snapshots. 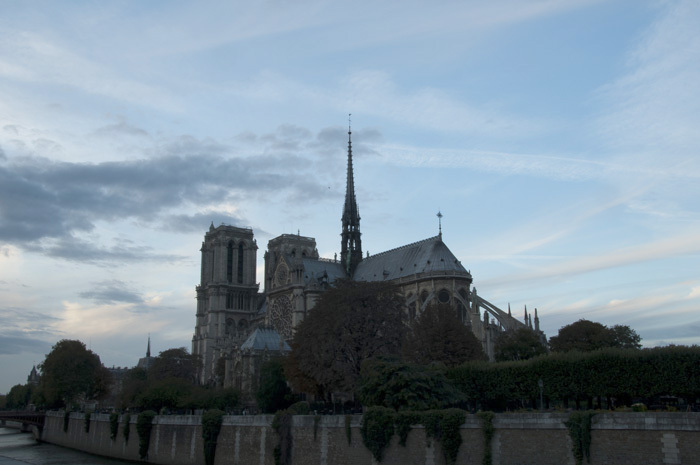 This church—arguably the most iconic in Europe—was worth more. 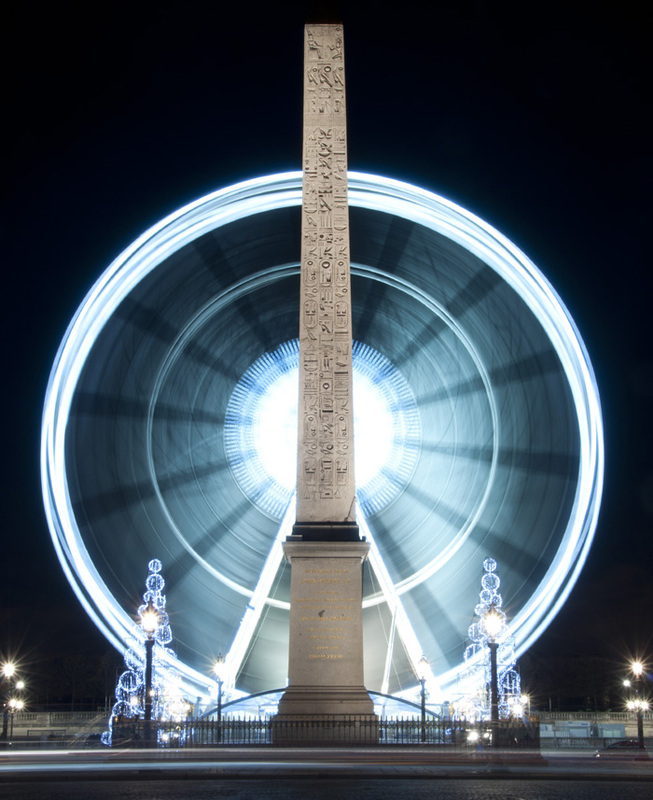 One October afternoon, I dusted off my tripod and descended into the tourist hive to take some shots at sunset. As one might expect, this building is really, really old. 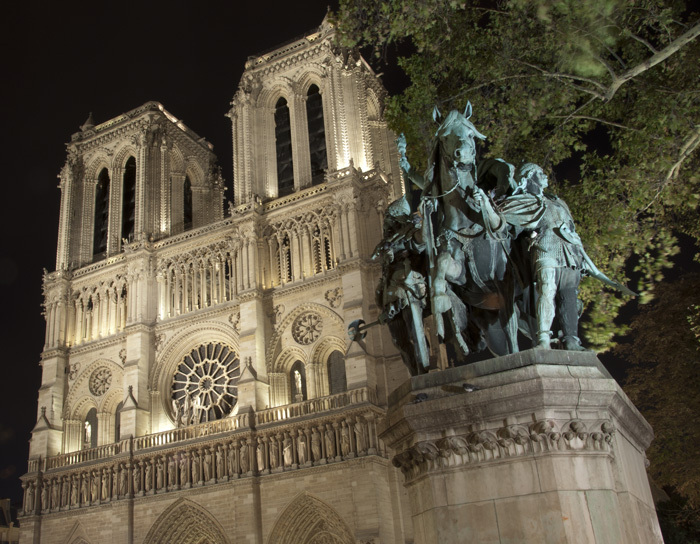 The first stone was laid in 1146 under the direction of Maurice de Sully, Bishop of Paris, on a site that had hosted various religious buildings for a millennia. Amazingly, many of those who built the church did so without payment (and probably working more than 35 hours a week) nor the hope they’d ever live to see it completed. Or that their children would; or their children’s children. 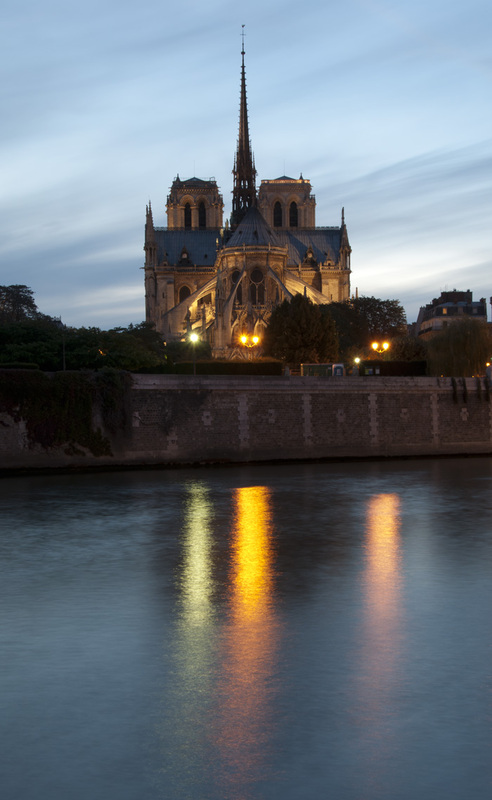 Notre Dame was completed eight generations later in the 13th century. 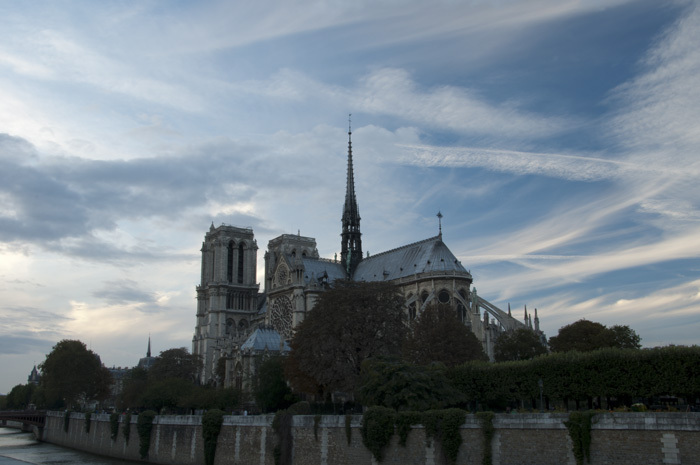 It is widely considered to be one of the best examples of the French Gothic style of architecture. 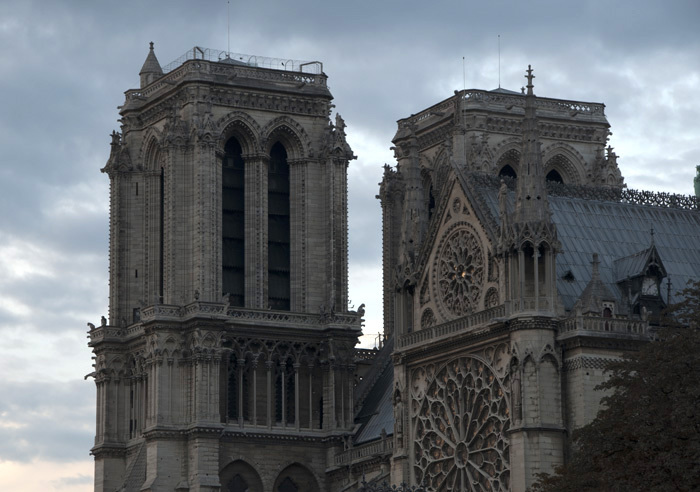 The flying buttresses—arches that follow the roofline out to large external pillars—distributed the weight of the roof out away from the building. This architectural innovation allowed for taller, thinner walls and deflected the overwhelming pressure away from the stained glass windows (thereby sparing churchgoers from the resulting technicolor shrapnel). 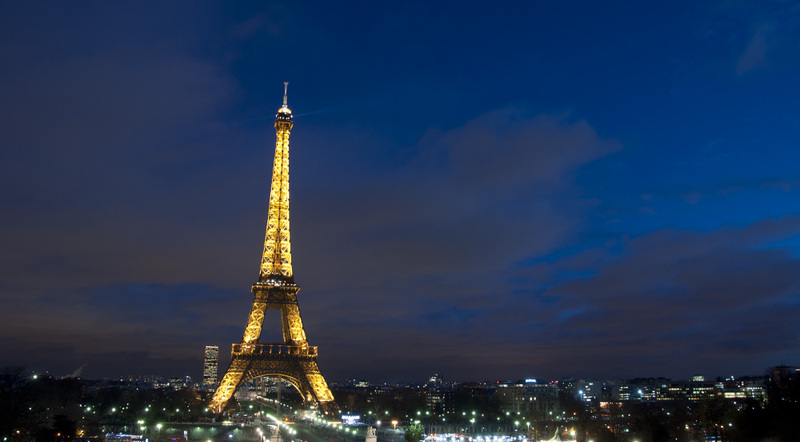 By the mid-19th century, it had fallen victim to centuries of neglect and was slated for demolition. 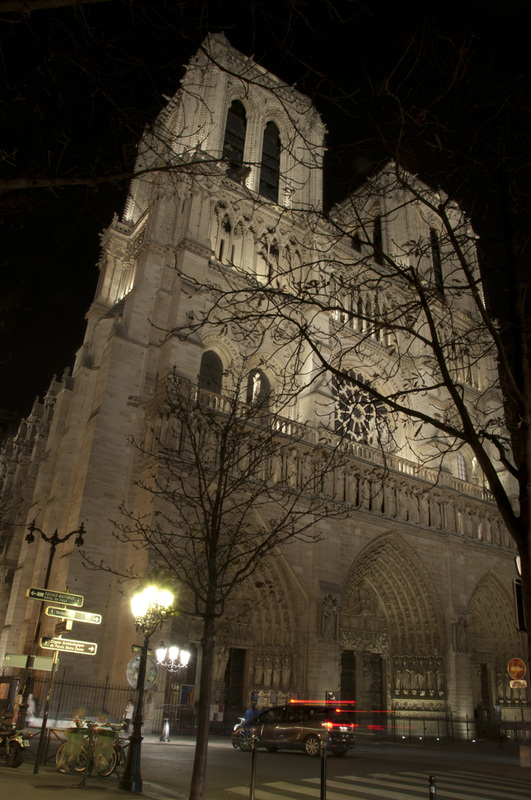 It was ultimately saved by a spinally-impaired occupant penned by Victor Hugo who reinvigorated interest in both the church and medieval architecture. Homes and other urban clutter in front of the church were cleared in the late 19th century to create Place du Parvis Notre Dame. 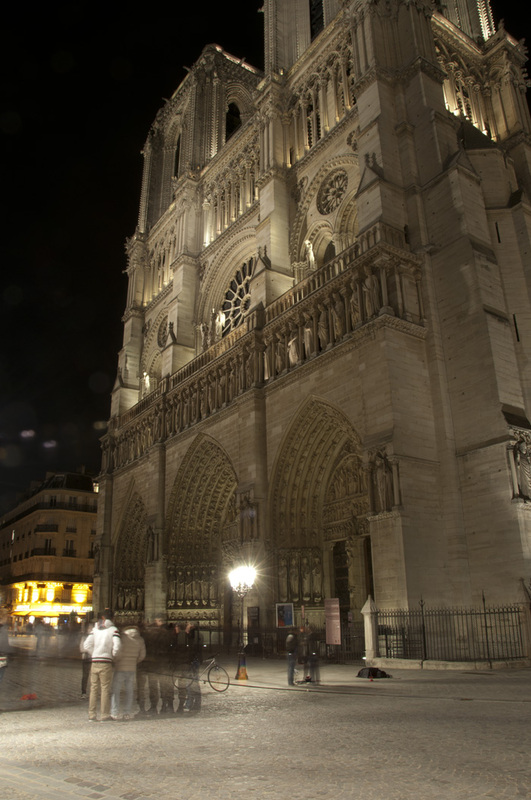 Aside from improved sight lines to the church facade, this square affords visitors an opportunity to stand at Kilometre Zero, the point from which all distances to Paris are measured throughout the country. 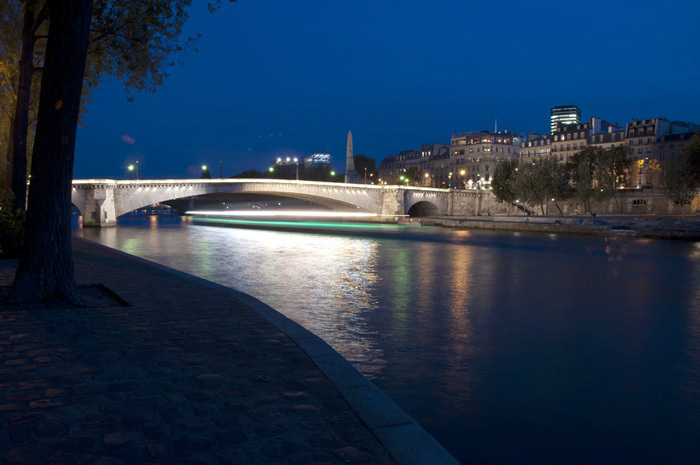 The first two photographs are from Pont de l’Archevêché to the east, showing what a 90° turn of a polarized filter can do for the clouds in the sky. 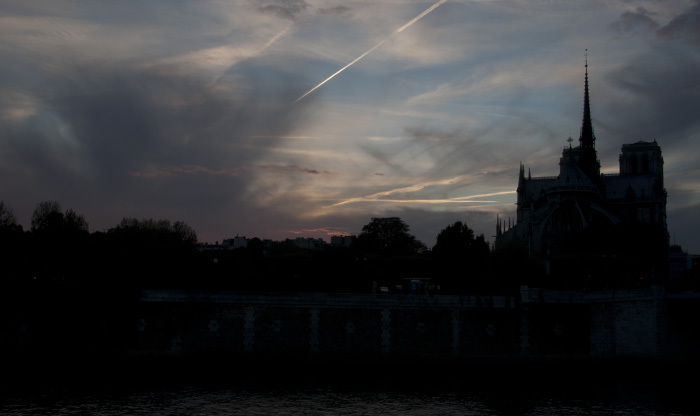 The sunset shots are from across the river, further east over Pont Saint-Louis. 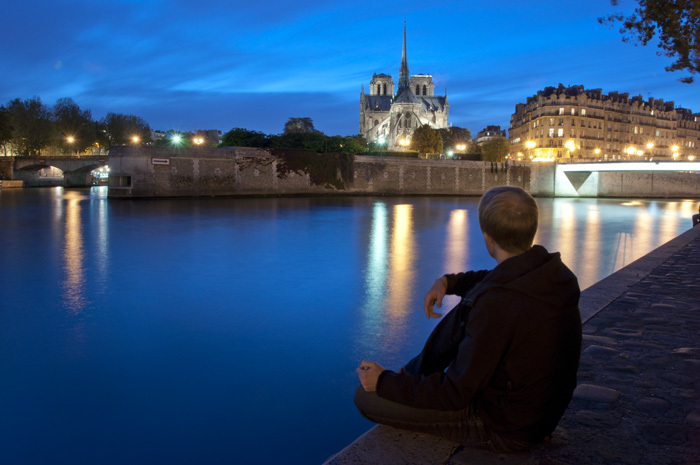 The night shots are from Place du Parvis Notre Dame on the west side of the church.